by necrodog Posted 3rd Jun 2016 at 11:22 PM - Updated 30th Sep 2018 at 1:38 AM by necrodog : Updated for the latest patch seasons. Hello. Time pass since I upload something. I was busy at baking and other things, but here ya go! 29-September -2018 Update. Seasons patch. 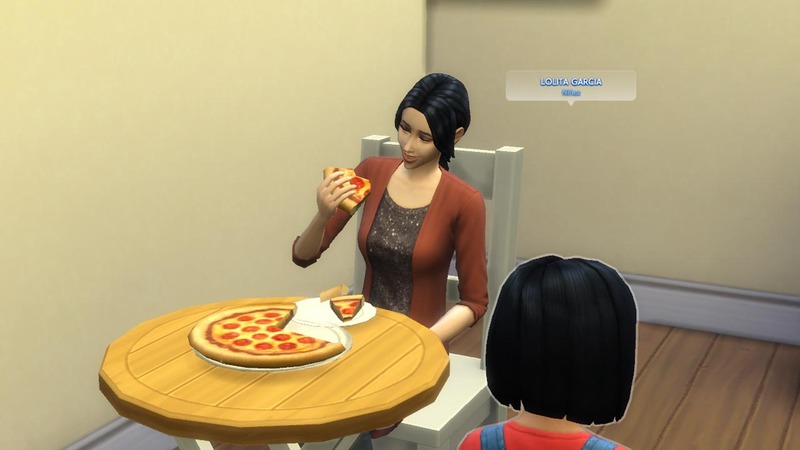 The oven and the large pizzas are updated for the latest patch. This time doesnt have fire. Going to add it later. Please redownload. 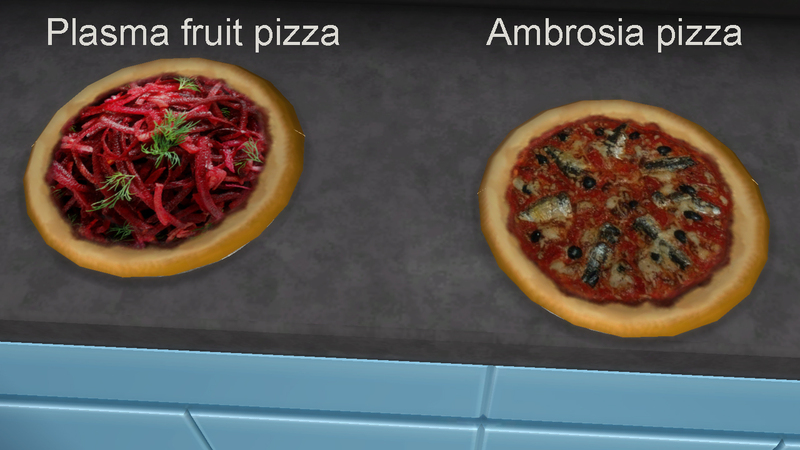 Hello to celebrate Maxis party I have added two new pizzas, one plasma fruit pizza for vampires and the Ambrosia pizza that resurrect ghosts. The diference with the normal ambrosia is that this can be spoiled and has multiserving. 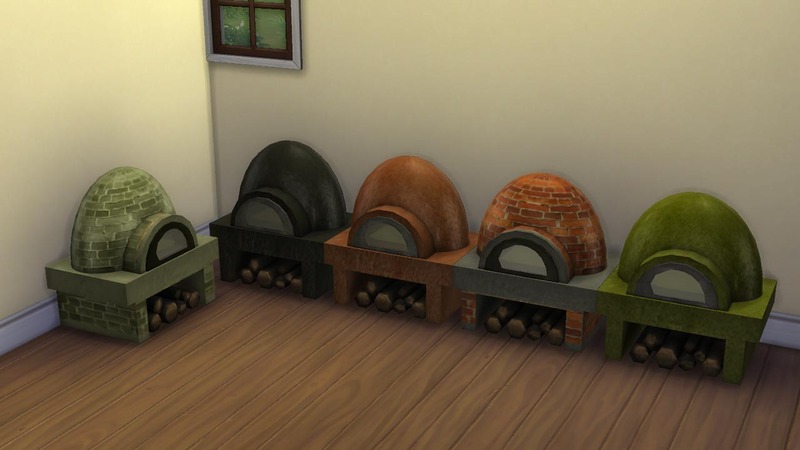 Also redownload the rustic clay oven with this new recipes please. For the plasma fruit pizza you need the vampires pack. 28-December-2016 Update. Animated fire from fireplace new tuning. I update the oven tuning adding fireplace lighting option so the oven look more realistic with fire. 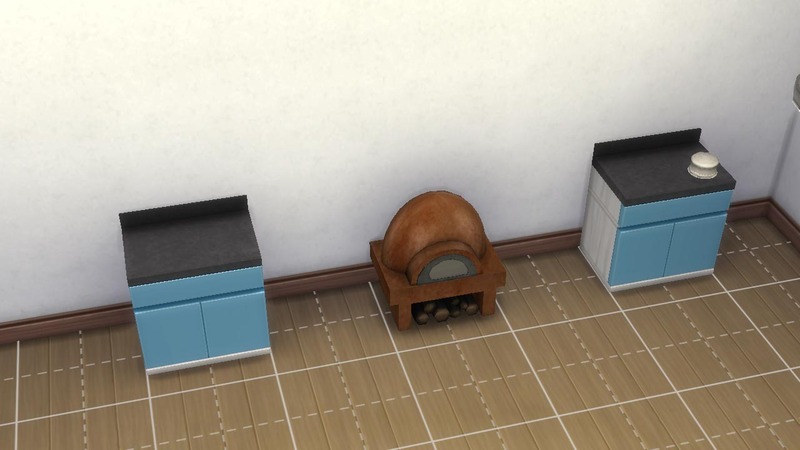 Because the fireplace lighting need some deco slots, they are over there and if you want to light the oven you need to leave at least one space at both sides to light correctly. See attached pics. 8-December-2016 Update. Usable for kids option. 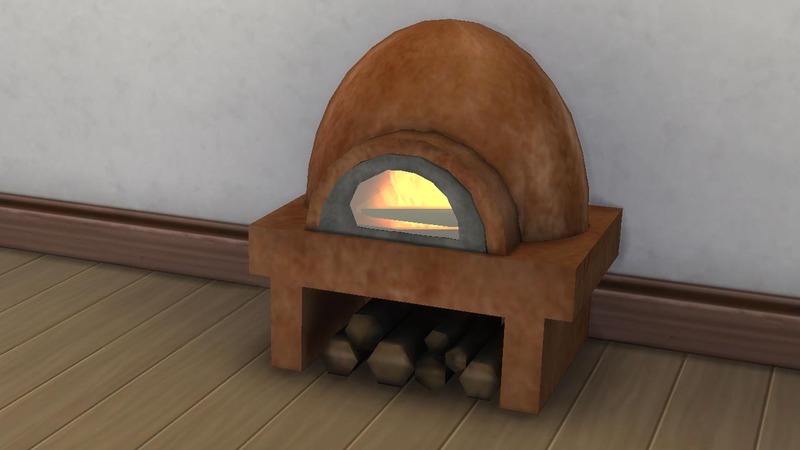 With my recent unlocked scripts and cooking skills for kids, child can cook pizzas too in this oven. I update the oven. Im finishing the previuos pizzas as mini for restaurant available. 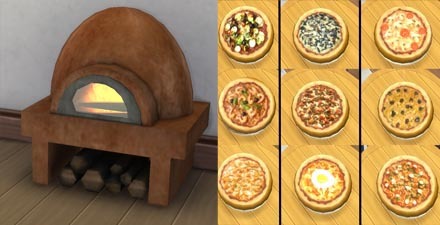 I added "Bake mini pizza" menu iteraction for crafting at home when released. Please redownload the oven. 5-july-2016 Update. Fixed the stove burners glitch. I have fixed a gltich were you still can use the stove burners in foods using the fryingpan.This issue is solved now. If you want to cook these recipes you need an extra stove. Please redownload the oven. 26-june-2016 Updated the tuning so no need of an extra stove. Hello. I update the oven and you only need it to cook. No more grayed recipes. Added custom recipes menu from thefoodgroup so you can cook recipes made by them like plasticbox cupcakes. So please download the rustic clay oven package again. 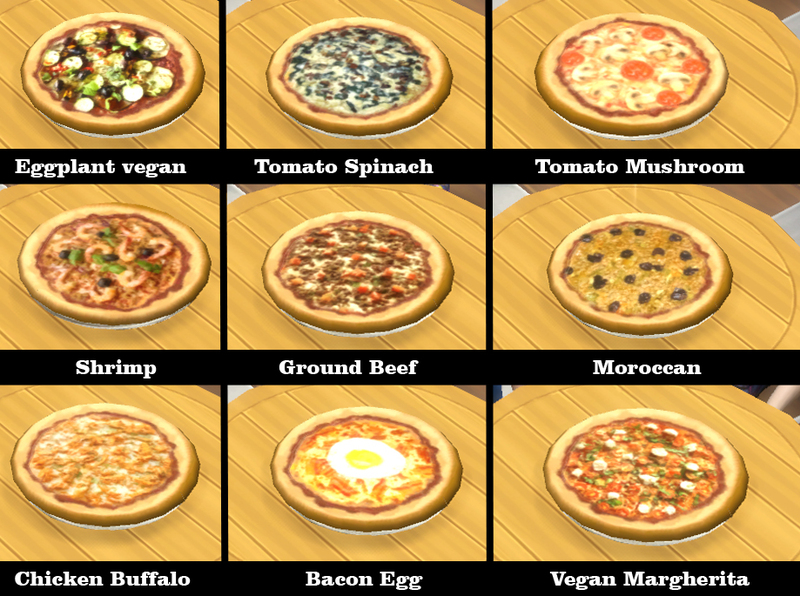 8-june-2016 Update: Added more pizza recipes!! I update the oven for more recipes here its the image of the recipes. Please download and replace all the packages plus the new one recipes. 6-june-2016 Update: Added Chinnesse translation ( wuccwzt ) Updated the spanish translation. I have finished this rustic oven. 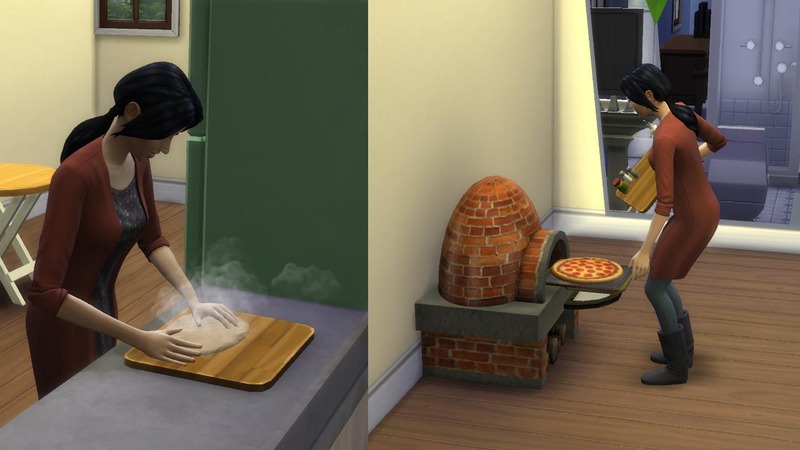 You can bake the normal things plus six new pizza recipes for your sims to enjoy. 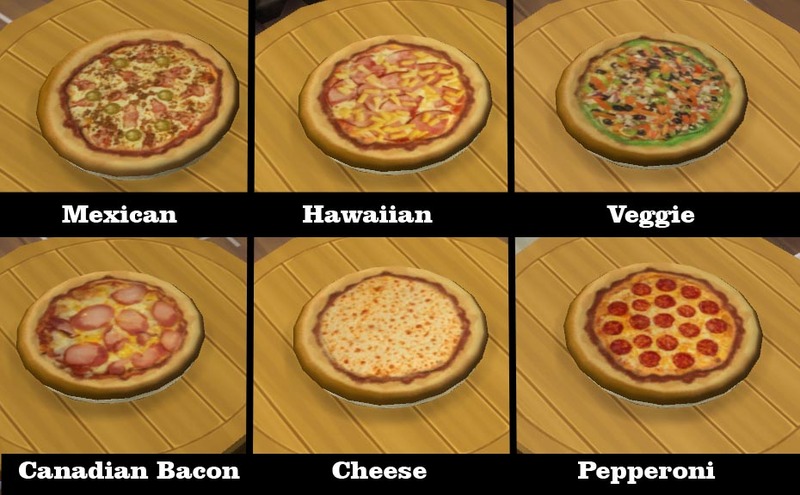 Pepperoni, Canadian bacon, Cheese, Hawaiian, Mexican and Veggie pizzas! All with custom making steps and baking pans. Special thanks to icemunmun who help me to make custom recipes. 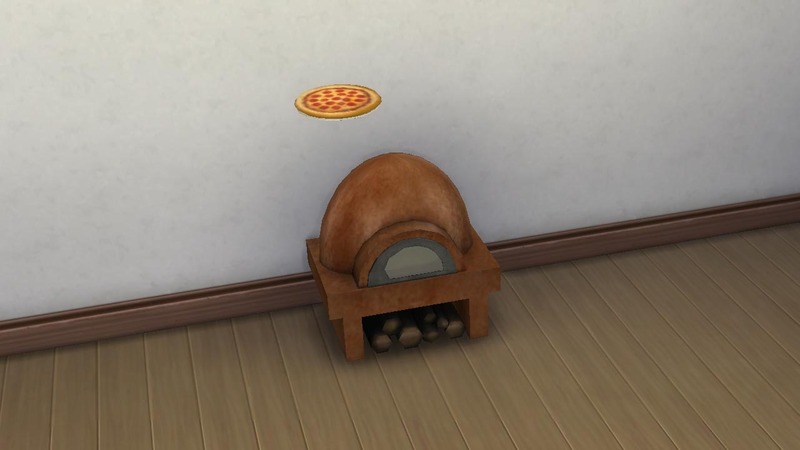 If you click on the oven you will see that you can bake the normal recipes and a new menu appear "Bake pizza" where this new recipes appear. This oven only bakes, dont uses the frying pan iteractions, so recipes using this iteractions wont work. Any comments would be highly apreciated. MTS, Sims 4 studio "jackpot" and icemunmun for the hints on making custom recipes.